Is an Electronic Air Cleaner Right For You? Nashville is known for its great music, hot chicken, and unfortunately, its sometimes poor air qualityâ€¦ largely due to ozone, pollens and particulates. Things linger in our air because middle TN sits in a "bowl" surrounded by mountain ridges and vegetation the natural wonders that give this area its beauty. People who are allergy-sensitive know all too well that springtime is approaching! Of course, you should be changing your air filters on a regular basis at least every 3 months. But, did you know there is more you can do to help the air quality in your home? 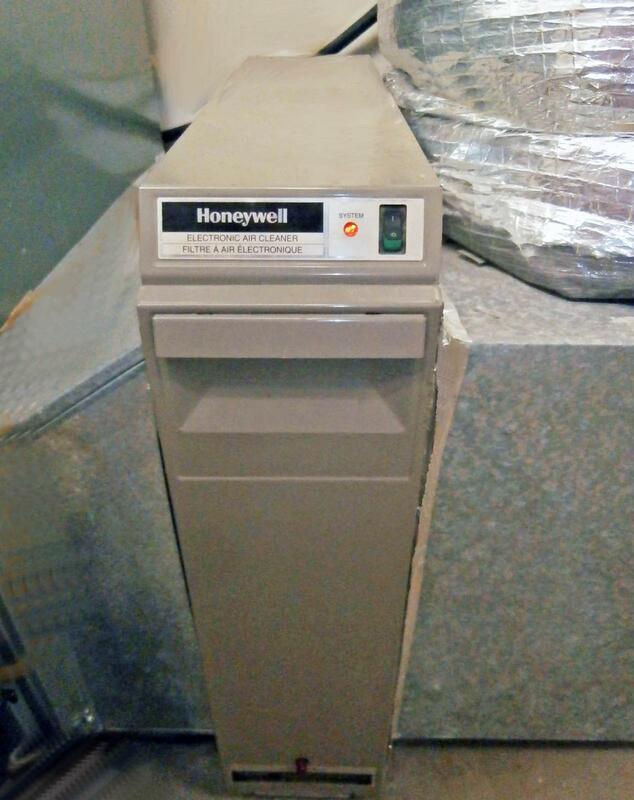 Consider installing a whole-house electronic air cleaner. This is a device that attaches directly into the HVAC ductwork feeding your whole house. As the name implies, this is an electronic filter not just some folded mesh encased in a cardboard frame like a typical air filter. It works by placing a negative electric charge on airborne particles and a positive electric charge on the media and, because opposites attract, it collects airborne particles like a magnet. To give you some perspective, typical air filters remove particles down to about 750-1000 microns in size, or about the size of the eye of a sewing needle. But, an electronic air cleaner can remove particles less than 10 microns in size a size so small it would require an electron microscope to see! Particles of this small size stay suspended in air easily and account for 99% of the total number of particles in unfiltered air. Besides dramatically increasing your air quality, electronic air cleaners are low maintenance and economical. They can be easily removed from the ductwork, washed in your dishwasher or sink, drip dried, and re-installed. 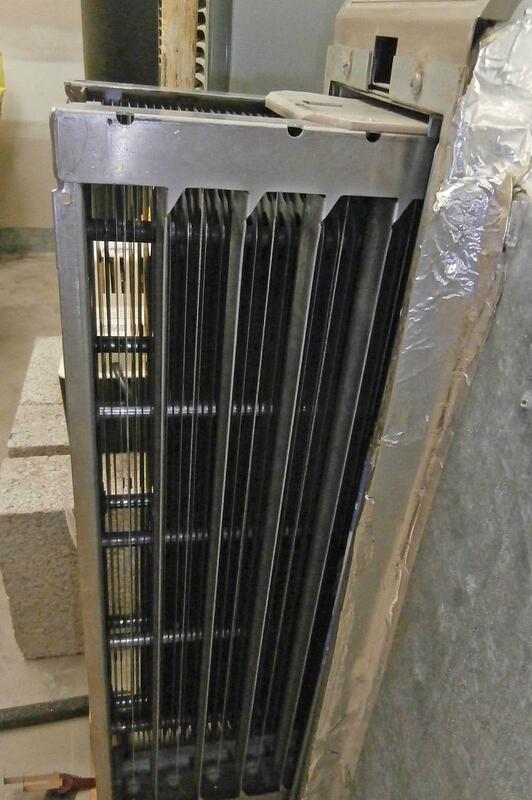 They do not have to be replaced every 3 months like typical air filters. Some systems offer an integrated LCD display or fault light to remind you when the filter needs cleaning. 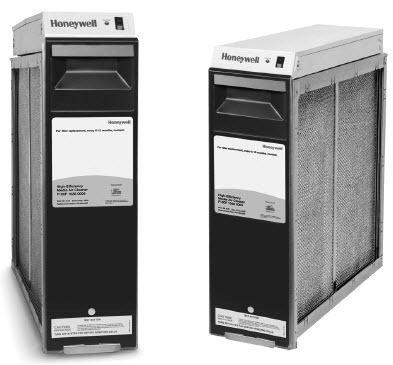 Runtime on these filters is not based on calendar days, but on the length of time your HVAC system runs. It is recommended that you leave your HVAC system's fan set to "on" rather than "auto" for maximum air cleaning benefit. Most electronic air cleaners come with a 10-year warranty and use about as much electricity as a 40-watt light bulb. 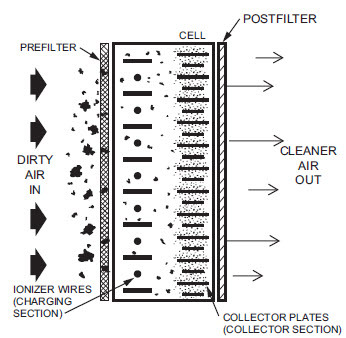 Do not confuse electronic air cleaners with electrostatic air filters! Electrostatic filters have a charge applied to them at the factory which is supposed to last the life of the filter, but their efficiency is poor at best and degrades over time. Electronic air filters are made using either precipitator or polarized media technologies, both of which require a power supply. Electronic air cleaners have a continuous charge applied making them very efficient dust magnets! In a previous post, we talked about duct cleaning. But, if you have an electronic air filter and well-sealed ducts, you should never need your ducts cleaned, as particles won't ever get the chance to deposit themselves in the ducts or build up over time. Additionally, your HVAC system's blower, air conditioning coils, and heat exchanger will be protected from particles and so will last longer and be more efficient. In fact, one electronic air cleaner manufacturer guarantees that if your indoor coil requires cleaning within 10 years of installing their electronic air cleaner, they will pay to have it cleaned! Whether you have a whole-house electronic air filter or not, you still need to change your air filters in your return air vents every three months! My husband has always suffered from horrible allergies, and they've been getting worse every year. A friend of mine suggested installing an electronic air cleaner. I love the fact that they can increase our air quality, and they can be cleaned in a dishwasher!